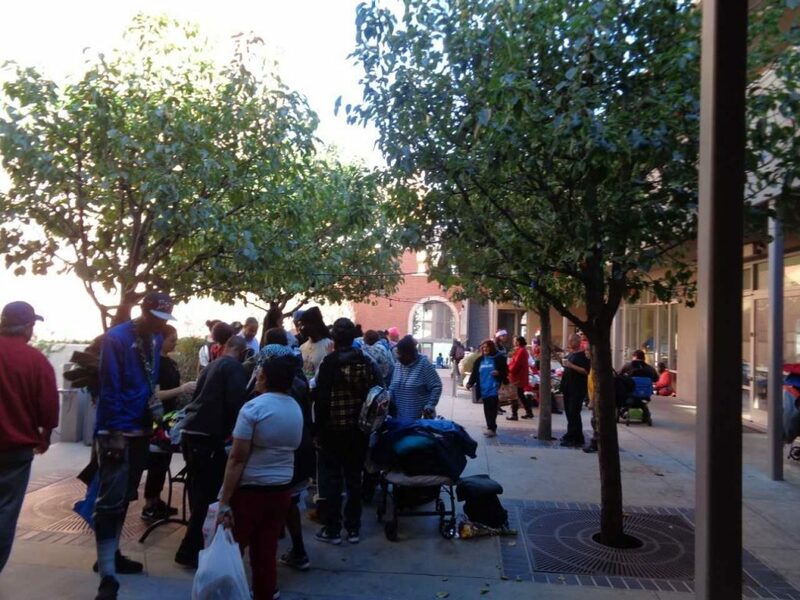 Our staff and over 30 volunteers served 216 guests, of which 19 were new, at yesterday’s drop-in community center. Thank you to Dr. Sophia and her volunteers from Cal State University, Dominguez Hills for seeing our clients and addressing their medical questions and ailments. Our clients are always so thankful for Dr. Sophia’s monthly visits. 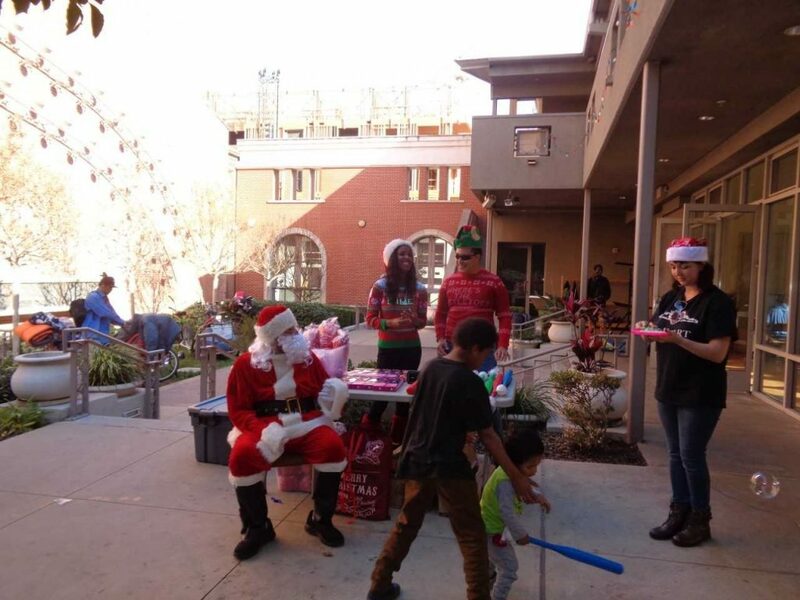 Thank you to CityHEART and Paige Pelonis and her helpers for bringing good cheer and Santa for the children. Santa brought goodies for all children and gave them an opportunity to chat about their wishes. Thank you to Josh Ebrahemi and Jack Nadel International for donating blankets that we distributed to all our guests and teddy bears that was included in Santa’s goodie bags. Staff and I are continuing to help families and individuals move towards stability. We provided assitance to those who are working and homeless. We also helped with families who are housed with utility bills. Last weekend, we provided a motel stay for a mother and her four children. The mother is actively looking for a construction job, as we help her do what she has to do in order to begin her job. 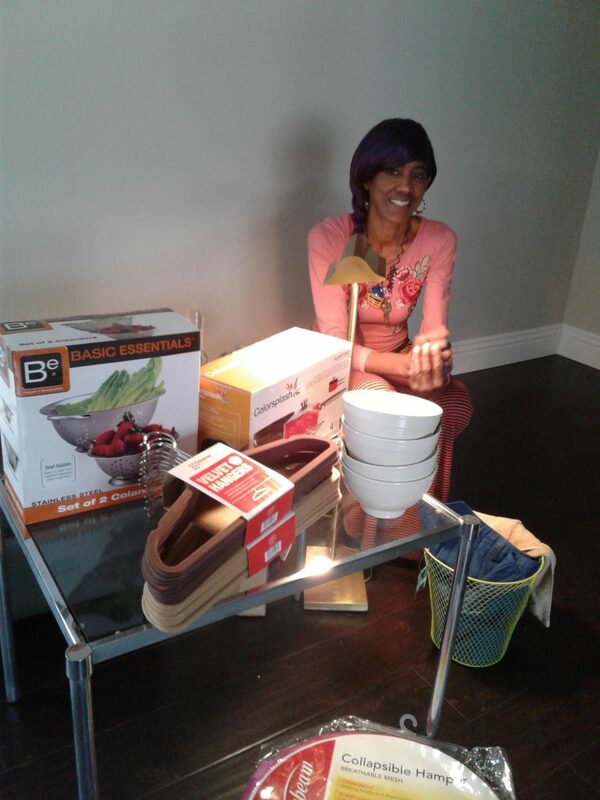 We also provided some basic housewares to a recently moved-in client (see photo). She was so thankful for the items we were able to give her. As we edge closer to the new year, if you haven’t already, please consider making an end-of-the-year donation to Urban Community Outreach to support our efforts in helping people move out of homelessness. Please send donations to the address below or make on-line donations at www.ucodic.org. Thank you!